Hello! This week on the podcast, scheduling issues arose, so Casey and Dan sit down to talk about the latest in movie news, review some television and films, plus so much more. Greg will be back next week, and we will discuss Kingsman: The Golden Circle and Voodo then! For now, we dive into Darren Aronofsky wanting to turn mother! into an Opera, news of the latest Terminator film, the status of Nicolas Winding Refn’s Maniac Cop remake project, and we get into the state of the film community as well. 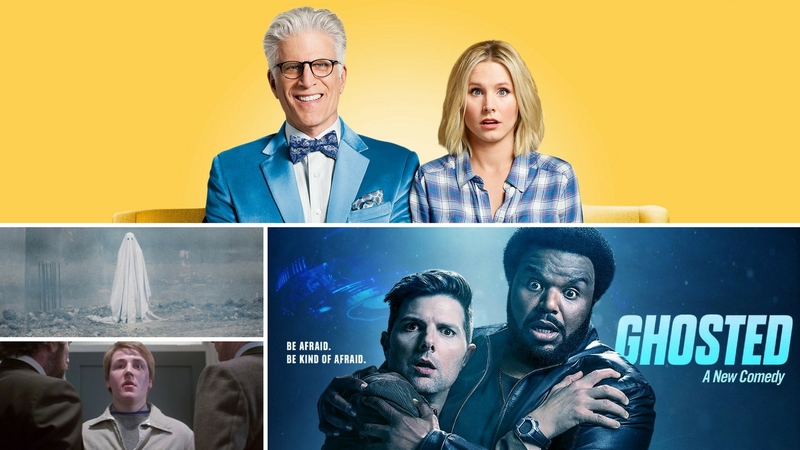 Plus, we watched the first episode of The Good Place Season 2, the first episode of Fox’s new comedy Ghosted, saw more ghosts with the film A Ghost Story, get very bleak with a British drama called SCUM, and so much more. Enjoy our latest episode? Here are some easy ways you can say thanks and show your support. Support See You Next Wednesday on Patreon; pledge as little as $2 for access to our Slack community channel, or more for bonus episodes, videos and much more! Subscribe to See You Next Wednesday on iTunes and leave a positive review on our page. Share this episode with a friend! Click any of the icons at the bottom of this post to easily share this episode with your buds. Email Us your feedback, opinions, and much more! We’ll even get back to you, promise!